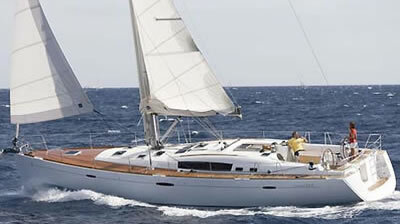 The Beneteau shipyard, created yet another successful sailing yacht the Oceanis 54, that you can charter and enjoy your sailing vacations at the Greek islands either bareboat or with skipper. 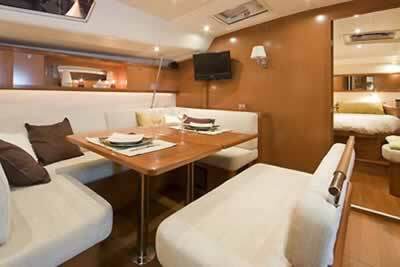 It offers accommodations to eight guests in four double cabins. 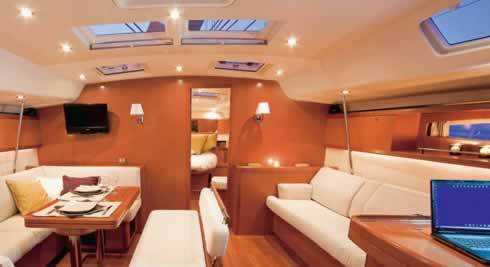 Skipper has own cabin. 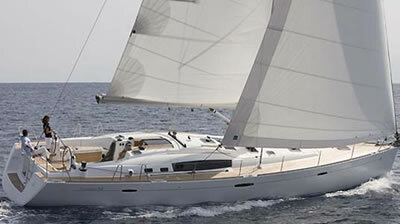 The Oceanis 54 offers long-distance travelers a magnificent yacht with flowing lines designed by Berret-Racoupeau. 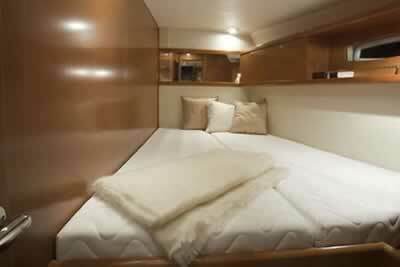 On board, everything is focused on maximum comfort and light to fulfill the promise of outstanding coastal cruising and carefree ocean passages. 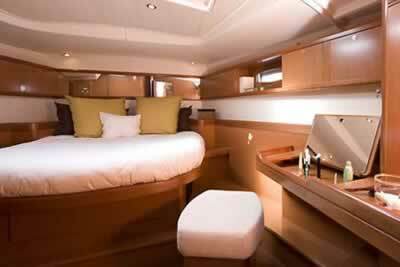 When choosing your boat is the beginning of your voyage and experiencing the Oceanis 54 is like a dream come true because it offers superior design, quality, extraordinary interior comfort, lots of light and extraordinary space and performance for a boat this size.